Hailed as one of the Philippines’ premiere tourist destination, accommodation in the province has never been a problem. Particularly if you are looking for the popular and best hotels in Cebu. Cebu has been a popular tourist destination in the Philippines. With its rich culture, amazing beaches and superb local hospitality, many tourists are visiting the province and are continually coming back. With the Sinulog Festival in Cebu, local and international tourists are expected to flock the province to watch and experience the said event. Weeks before the actual celebration, most hotels within the city particularly those near the area where events will be held, are already fully booked with guests. This does not come as a surprise since the Sinulog has been a popular event in the Philippines with grand activities organised for all. Aside from Sinulog, Cebu is also home to various fun activities in the Philippines including the Funtastic Island in Medellin, Sardine Run in Moalboal, Osmeña Peak in Dalaguete and Island Hopping in Mactan to name a few. 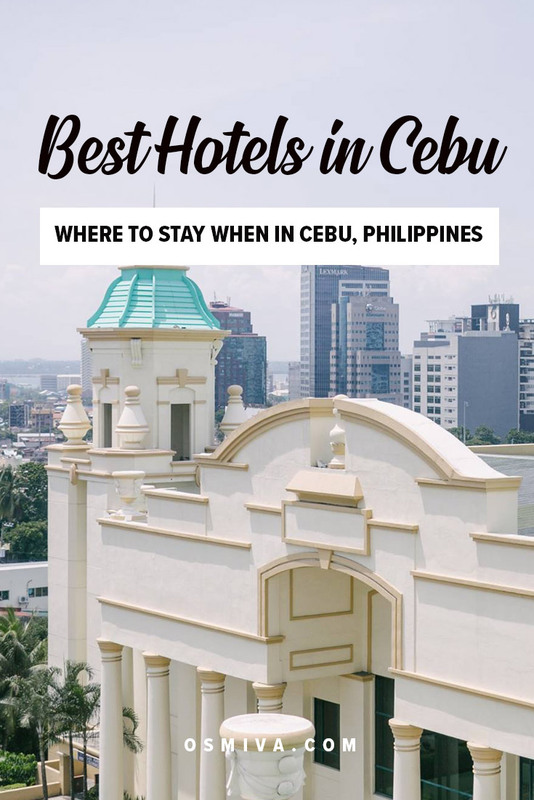 If you are one of those tourists who are looking for hotels to book when visiting Cebu (before, during or after Sinulog), here are 10 of the Best and Popular Hotels in Cebu, Philippines that you may look into to make your travel experience more fun and safe. We have grouped the hotels based on location. The following places are centrally located to premier Cebu areas with good transportation access for a comfortable stay. 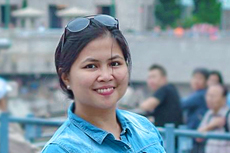 If you are in Cebu, one of the most central location you can stay in is near SM City Cebu where transportation and moving around is not a problem. This is a great location if you want to do some Cebu Day Tour as transportation in and around Cebu is available here. Conveniently located near one of the biggest malls in Cebu and its port area, Radisson Blu is a modern and safe haven overlooking Cebu City and the Mactan Channel. Its 400 well-appointed rooms are all about luxury and comfort. Plus the beautifully landscaped pool is a great way to relax amidst the hustle of the city centre. Don’t forget to dine it at the hotel’s restaurant as it serves one of the best food in the city. If you are commuting to the hotel, you can simply ride any Public Utility Vehicle going to SM City. Radisson Blu is just beside the SM City Cebu Mall and is connected with a covered walkway near the MyBus Terminal. Relatively new to the hotel scene in Cebu, Bai Hotel has indeed created a buzz on its opening with its superb service and well-appointed rooms. It’s wide range of amenities are well-thought of to ensure guests comfort. Don’t forget to chill-out at the hotel’s rooftop bar and infinity pool too! Bai Hotel is located a few meters from SM City Cebu. It is right across Park Mall. To get here, ride any jeep going or passing through Park Mall. There are also vans and buses from the airport that stops near here. Another great area to stay in is near Ayala or Cebu Business Park. Aside from the leisure activities, there are several fun restaurants and cafes here you may want to check out while staying for a day or two. A 3-star hotel located near one of Cebu’s largest malls, Quest Hotel and Conference Center stands out for its modern and unique interior. Its 427 rooms are all well-appointed and very charming. The hotel is also well-known for its amazing buffet. Situated right across the Cebu Ayala Malls, you can’t simply miss this hotel. Ride any jeep passing by Ayala to get here. It is indeed the perfect place to move about in the Queen City of the South. Located conveniently in one of Cebu’s prime location, Harolds Hotel is a 7-10 minutes walk to Ayala Center Cebu and boasts its state-of-the-art facilities and recreational amenities. The hotel also offers 90 Suite rooms for its guests. Enjoy the hotel’s fitness centre and massage services for a more comfortable stay. The Harolds Hotel is located a few meters away from Ayala Center Cebu. You can ride PUJ’s from IT Park and Colon that are passing through Gorordo Avenue. Hotel Elizabeth Cebu boasts a wide-array of excellent facilities and convenient location. The hotel’s 131 beautiful appointed rooms are perfect for anyone wanting a relaxing stay with hospitable and accommodating staff. The hotel is located a few meters from the Ayala Center Cebu. You can also look for PUJs with the numbers 06H, 13B, 13C and 62B to take you to the hotel’s nearest drop-off points. If you are looking for a more budget-friendly hotel, Red Planet Cebu is just right for you. It’s right across Ayala Center Cebu and offers clean and functional rooms for any traveler. The hotel is the perfect place to stay for a night or two in the city. It also has a convenience store down below for your basic needs. Red Planet Cebu is easily recognisable when you are in the city with its red-painted facade. Like the Hotel Elizabeth, you can also look for PUJ’s with the numbers 06H, 13B, 13C and 62B to take you to the hotel’s nearest drop-off points. Just right across the PUJ Terminal at the Ayala Center is the Mandarin Plaza Hotel. The hotel offers comfortable accommodation and excellent service to its guests. It’s very centrally located. You wouldn’t have any problem when commuting to any point in the city at all. Treat yourself to some sauna, spa and massage when staying at the hotel. The Mandarin Plaza Hotel is located in between Quest Hotel and Ayala Center. You can easily take the jeepneys going to Ayala Mall to reach the hotel. Cebu I.T. Park is one Cebu city’s premier business location. It is no wonder that the best hotels in Cebu are also located nearby for all travellers who wish to have an accessible location to I.T. Park. With over 300 guests rooms and suites, Marco Polo Plaza Cebu is known for its grand and breathtaking view of the mountain and the sea. The hotel’s impeccable service and luxury accommodation is perfect for travellers wanting a relaxing stay in Cebu. You can easily relax with Marco Polo Cebu’s great facilities like spa, bar, outdoor swimming pool and restaurant. The hotel is located in one of Cebu’s prime location: Nivel Hills. To get here, ride any jeep going to Busay. Or simply hire a tricycle from JY Mall. A popular venue for concerts, the Waterfront Cebu City Hotel and Casino is an elegant hotel at the heart of Cebu. It’s grand castle-like facade has become one of Cebu’s famous landmarks and cannot be missed. Enjoy an elegant stay in one of the hotel’s well-appointed rooms. You can also enjoy the hotel’s pool, gym and casino to relax, unwind and pass the time. Waterfront Cebu City Hotel and Casino is located right across Cebu I.T Park and a few minutes away from Ayala Center Cebu. PUJ’s passing along I.T Park will be your best transportation to get here. Formerly known as ‘The House of Cebu’, The Henry Hotel is an accommodation which has character and soul. Each room are designed with uniqueness and artistry. The hotel’s 38 rooms are uniquely designed from vintage to industrial to rustic. Indeed an accommodation with personality! The Henry Hotel is located in Banilad Cebu. You can ride PUJs going to Gaisano Country Mall or A.S Fortuna and walk for about 5 minutes to the hotel. In choosing of hotels and inns, safety and convenience should be prioritised among others. If you are in a tighter budget however, there are cheaper hotels that you can also look into. We have stayed at some of these hotels a couple of times and have enjoyed our stay. 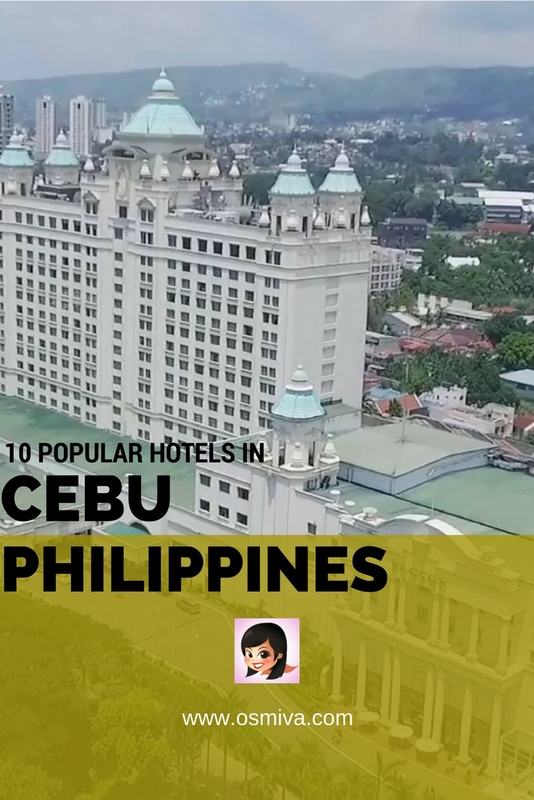 Have you stayed at some of these popular and best hotels in Cebu? Do share with us your experiences on the comments below. We love to hear from you! Held my wedding at Cebu Grand Hotel last year. The venue’s nice. I rate it as 8/10. I strongly recommend Radisson Blu Hotel beside SM City Cebu. Very nice hotel. I think the most popular hotel in Cebu is Waterfront. booming na ang Cebu ha. ang dami nang hotels. water front is number one for me… lots of fun. pero nganu wala naapil ang cebu parklane hotel ani?